Early available data indicate that the Bartley/Bartly families in N. Ireland were rare during the 1700s to 1800s; perhaps amounting to only about one in a thousand families. Most parishes in N. Ireland have none. 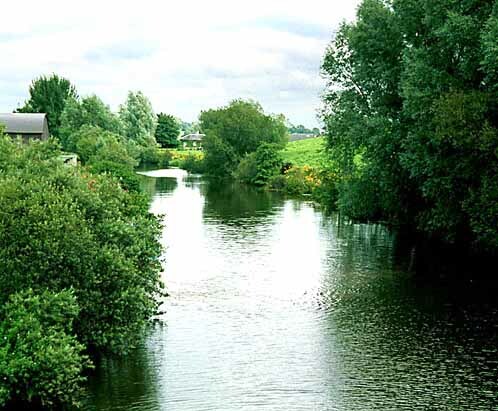 Furthermore, the families were extremely localized into two clusters (containing maybe half of the families)—one in County Antrim and the other detailed here on the River Blackwater, which forms the border between Counties Tyrone and Armagh. This distribution seems distinct from that of families known to be present in N. Ireland as late as the time of Oliver Cromwell or the King James Plantations. 15-19 May 1778: Doc ID 119496, an the article on Thomas Bartly, Killyman Parish, and James Bartly, Drumglass Parish, and the linen trade. These parishes are adjacent to Clonfeacle Parish in County Tyrone. Blackwater River near Moy. County Tyrone on left, Armagh on right.